We have just added some cool new features to the OSF that we think are worth mentioning! We worked with Google Scholar to identify and optimize the metadata required for indexing, and we are happy to say that OSF content is now fully indexed by Google Scholar. 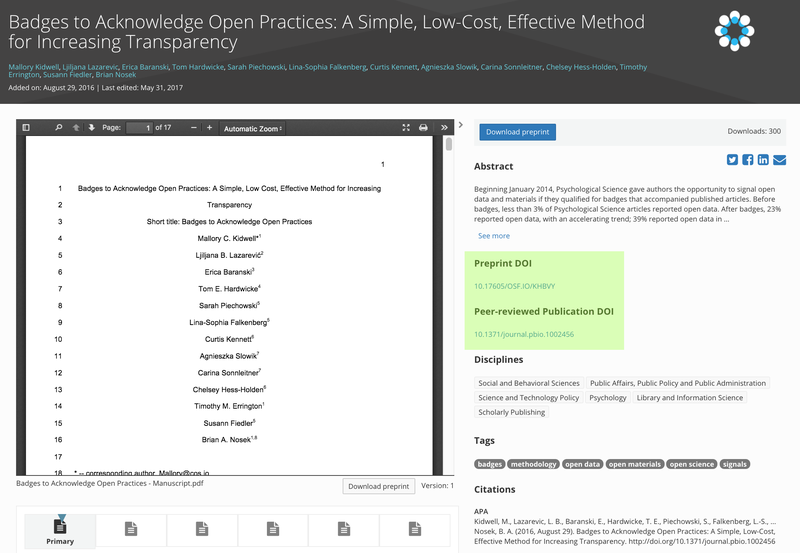 Full author lists, links to article content and preprints, full publisher metadata, citations, and versioning are all now available. Publish on the OSF with confidence! When you share a preprint using one of the OSF Preprints services such as PsyArXiv or EngrXiv, a Digital Object Identifier (DOI) will be created and the preprint will become publicly accessible via that service. You will be unable to delete the preprint file, but you can update or modify it. 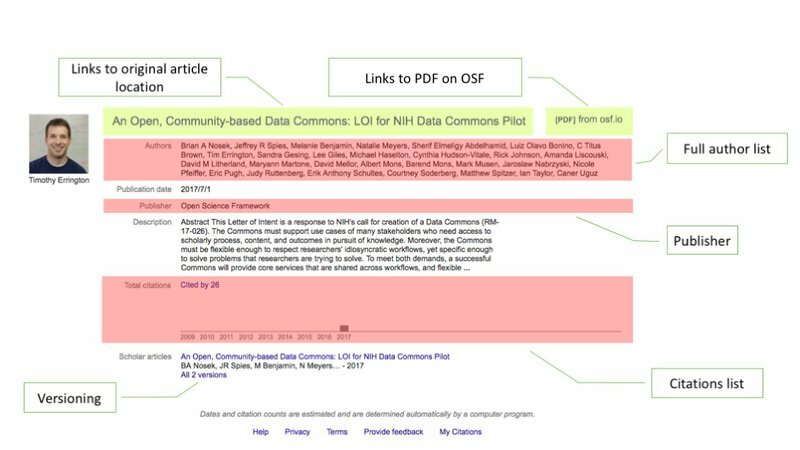 This also creates an OSF project in case you would like to attach other content to your preprint such as supplementary materials, appendices, data, or protocols. Once that preprint is reviewed and published, you can add the final DOI and it will also be displayed.